> Want to see your car no matter which floor you are at? Want to see your car no matter which floor you are at? 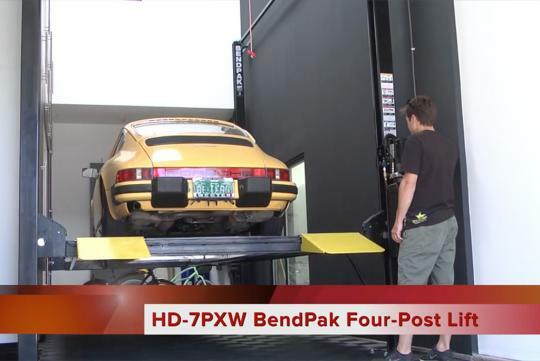 If you have a house with a second level and want to see your car when you wake up in the morning or while you are showering, you will need a BendPak lift. Tanner Foust, host of Top Gear America, Rally-cross Champion, X Games Gold medalist and Drift Car Champ realises that he wants to look at his Porsche so much that he has his architect install a car lift in his house.